Yesterday I attended the County Louth Agricultural Show 2015. Last year my mother and I had such a ball that there was no way I would miss it this year. On Saturday afternoon my boyfriend and I drove from our new home in Cork to County Louth to be sure of attending the show the next day. While standing looking at a particularly pretty heifer and waiting on my boyfriend returning with a massive ice cream cone, I was approached by a lovely lady to ask me if I would enter the best dressed lady event. I am usually a fan of dolling up but yesterday it was so warm I went with a relaxed look. 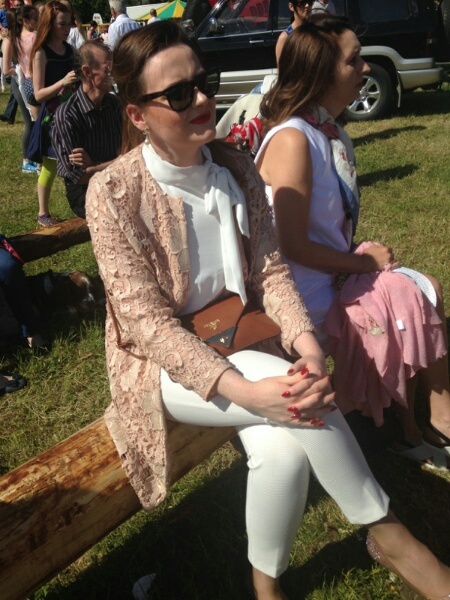 I wore an all white look with a blush lace coat to keep the sun off my skin. 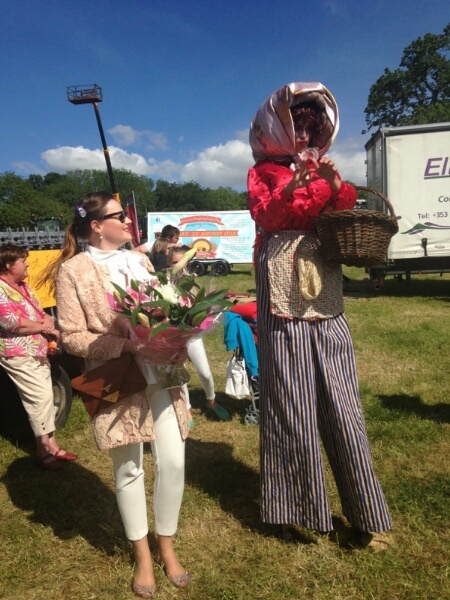 My Glam Mamma pushed me to accept so I (and the event organiser) insisted she join me in the line up. Mums a glamorous little lady and looked beautiful so it was only fair she enrol. To cut a long story short- I won! 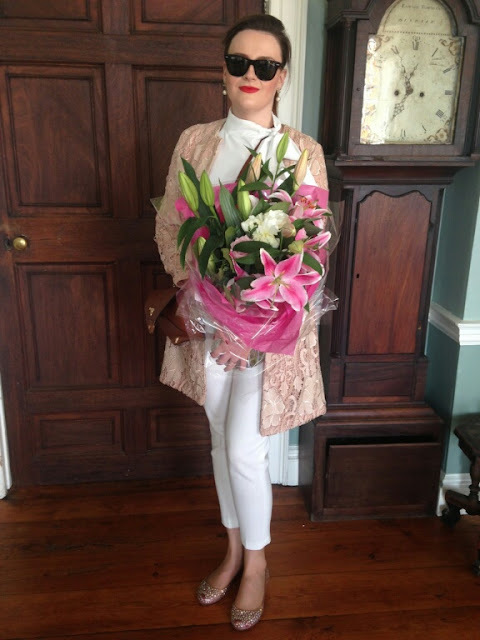 I received a beautiful bunch of flowers and a half day at the Carrickdale Serenity Spa! I must admit I am absolutely thrilled. I never win things and I would never in a million years enter a ‘best dressed’ event. It took a little push but it was a real confidence boost and well worth the red face!. 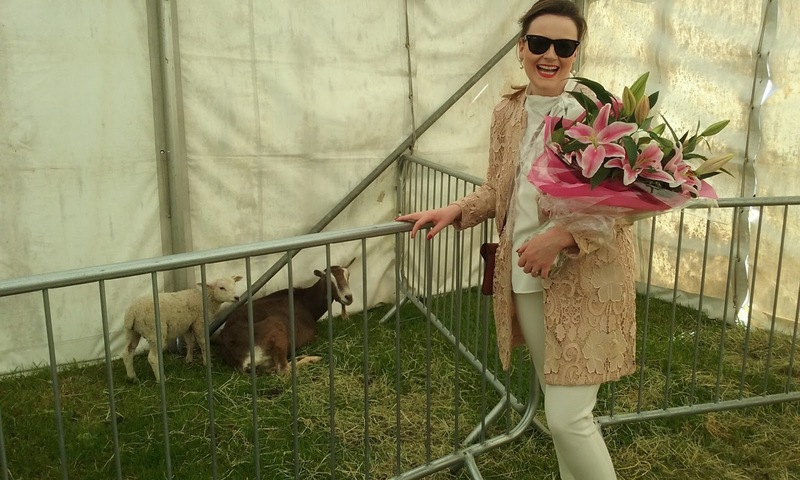 Here's a picture of me looking thrilled with my flowers beside a goat and a lamb in the petting zoo. Hard luck, love! you looked great!. 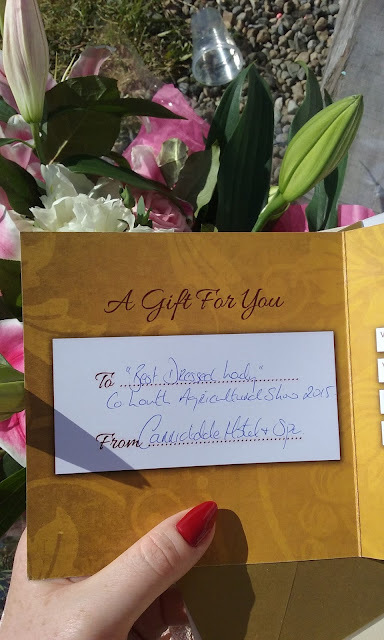 With relocating to Cork I am a little exhausted, a weekend ‘back home’ to indulge in my spa treat really sounds appealing! I will be sure to write a review when I cash in my pamper session. 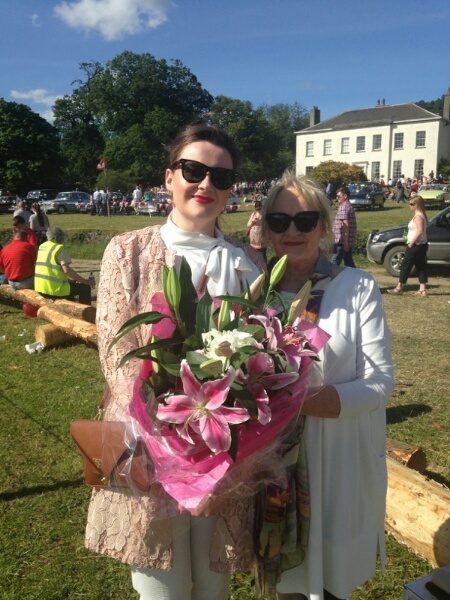 Thanks to all at the County Louth Agricultural show. I cant wait to return next year!